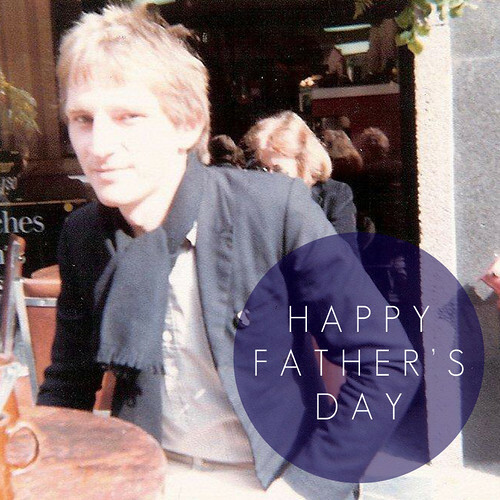 The A & B Stories: Happy Father's Day! Just wanted to say a quick happy Father's day to all the Dad's out there! I am so lucky to be surrounded by amazing Dad's. My Dad (the handsome guy pictured) is the coolest person I have ever known. Don, Billy's step-dad, is the kindest, sweetest man ever. And Billy, my love, who is so naturally a great Dad already. Ben is madly in love with him. Those two kill me. Hope you all have a great day with your families! I love this picture of your Dad.